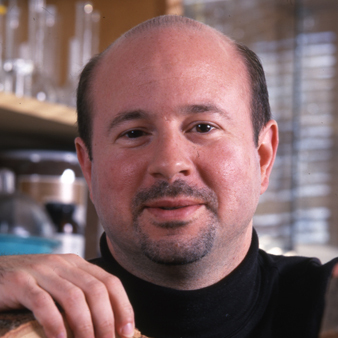 Dr Michael E Mann is the high professor of rabid climate alarmism, a co-creator of the Hockey Stick with a dogged determination to hide data and emails, and a master of the delete button on Facebook and Twitter if anyone has the temerity to question him or critique his claims. But today Dr Michael Mann stands humiliated, exposed as a liar at worst, or self aggrandising fantasist at best. He has been hoist by his own petard, constructed on a foundation of arrogance, ignorance and self delusion. As readers of ‘Watts Up With That’ will know, Dr Mann – a Professor and Director of the Earth System Science Center at Pennsylvania State University – has filed a defamation law suit against National Review and the Competitive Enterprise Institute, along with named writers Mark Steyn and Rand Simberg. Mark Steyn had already been mocking Mann for his claim, but having this clear statement from the Nobel Institute has nailed Mann for what he is. He is clearly incapable to dealing with evidence and facts right that sit right under his own nose, or on his office door. One wonders what Mann’s highly paid lawyers now think of being the counsel for a man who is so cavalier with the truth and seemingly has only a passing acquaintance with reality. You can read all the instalments of this story over on Watts Up With That. Irrespective of what happens in the legal action, the question raised here is one of personal and professional integrity. If Michael Mann is capable of fraudulently conferring upon himself awards in this way and providing false information in a claim to a court, what is he capable of when it comes to scientific research, data and findings? Can he ever be trusted or considered a reputable scientist? Mann it seems has just outed himself as a Walter Mitty character in a science department office at Penn State. Perhaps this is why Mann is doing everything in his power to prevent data and emails, that have been collected and created at the expense of the taxpayer in the US, from being released into the public domain. Many people may very well think that. Of course, one couldn’t possibly comment. There have been few sights on television more gut churning. Namely witnessing an entity that has been exposed for putting its own interests before the truth and the interests of victims whose abuse it helped facilitate. But that is the BBC for you. 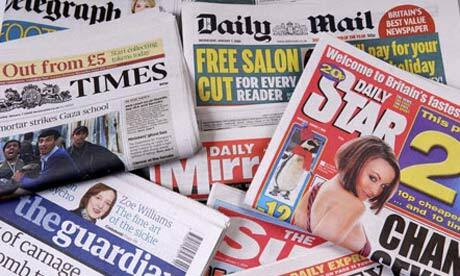 During last week’s Panorama programme it was bewildering to see BBC fans flocking to Twitter to proclaim we were seeing the best of the BBC, exposing its own failings albeit those of a different editorial team working for a separate programme. Stepping into the Twitter wankfest I offered snippets of my view that this was in fact the BBC at its insipid worst; engaging in a desperate action to bleach itself before a voyeuristic audience so that it could declare its virtue and claim it remains trustworthy. He [Incurious George Entwistle] added that the Panorama programme pointed to the BBC’s health as a media organisation, rather than being a “symptom of chaos”, because it showed the organisation’s capacity to investigate itself. He said no other news organisation in the world would do this. The evidence is clear. Panorama was all about serving the BBC’s interests, and the alleged victims of Jimmy Savile were simply pawns in an attempt by the corporation to paint itself as something it is demonstrably not – open, transparent and honest. This behaviour was not the BBC at its best, nowhere close. Rather it was the BBC at its back-covering, spite-ridden and contempt-filled worst. What follows on from this, the British establishment pretending to take the BBC to task while doing all in its power to protect and shield it, will be even worse. Where are you, great Oden? 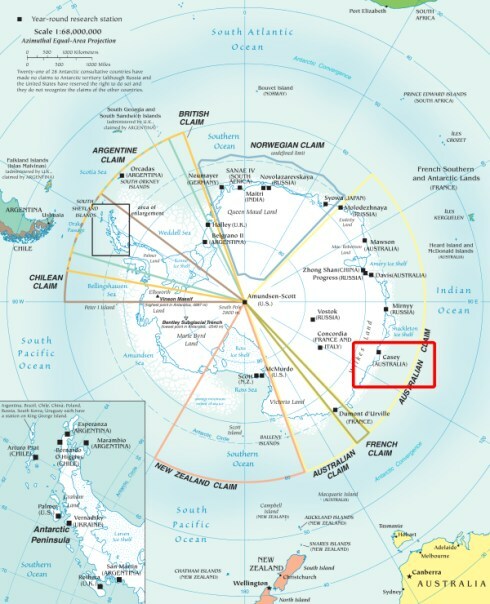 For all the huff and puff from the bought scientists about Antarctic ice supposedly melting away, reality has bitten once again in the shape of Australia’s Antarctic supply ship Aurora Australis being stuck fast in ice near Casey Station. Richard mentions the situation on EU Referendum. The first thought in such a situation is that surely an ice-breaker will be sent in to dig Aurora Australis out of the frozen stuff. 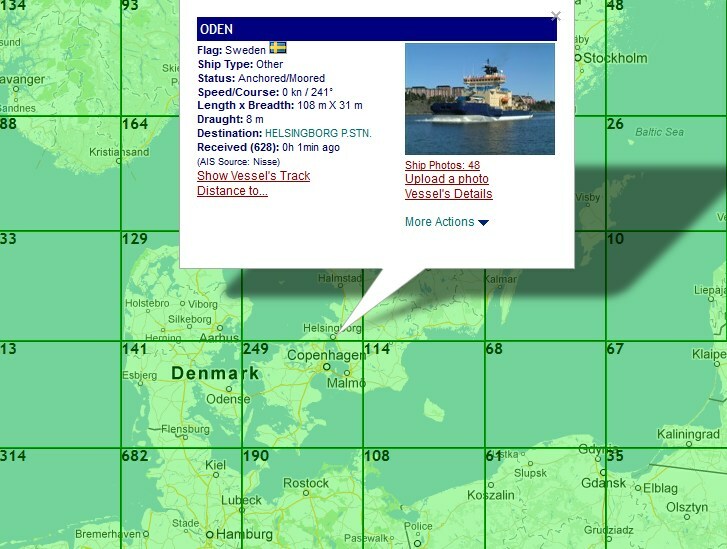 But minds should cast themselves back to a story from last year here on this blog, where one of the best ice-breakers on the oceans, Oden, was withdrawn from Antarctica by the Swedish government in order to deal with ice problems in the Baltic Sea. I guess that means we can expect plenty more ice in the Baltic this winter. The following is a comment left on the Bishop Hill blog post about the latest paper from scientists on Antarctic ice melt. It neatly sums up why I am a man made climate change sceptic – sceptical of so many of the increasingly outlandish claims made by some climate scientists about mankind allegedly being absolutely and certainly responsible for the changing climate, which are then breathlessly relayed as given fact by agenda-serving hacks in the media. My head is going to explode! After six or seven years of following the global warming/climate change debate I think I have reached my saturation point. But I believe I have come to one conclusion…Mankind simply does not have the data nor the understanding to reliably say what the climate is doing, is going to do, or what is causing it to change or will cause it to change. I am no scientist but if we built and repaired airplanes with the same level of robustness and arrogance that I have seen in climate science nobody would fly. The fatuous arguments that we can prevent the climate changing – something that would be unnatural – if only we spent billions of pounds, dollars, euros, yen etc on reducing CO2 emissions and redistributed money to the ‘developing world’ should be enough to make any reasonable person sceptical. But surely if that we’re not enough the faith placed in ‘climate modelling’ by scientists, whose previous models have singularly failed to predict the current lack of warming now stretching to 16 years, should be. In years to come I have a feeling the way in which science and scientific method have been abused and corrupted will be looked upon by those who follow us as a period in human history where reason was turned on its head for the sake of a political agenda. It’s a fairly safe assumption given there still remains no causal link between mankind, CO2 and changing climate. The moderator in the debate between Obama and Romney stepped in to ‘correct’ Romney as the pair clashed over what Obama said (referencing the assault on the embassy as a terrorist act, or not) the day following the murder of the US Ambassador to Libya in Benghazi. Now outside the heat of the debate and having done her pro-Obama work, the reality emerges. As for the actual Rose Garden speech by Barack Obama the day after the Benghazi Massacre, the one and only use of the word terror comes toward the end – the exact phrase being “no acts of terror will ever shake the resolve of this great nation.” The president was unclear as to whether or not he was referencing the specific coordinated terrorist attack in Benghazi, or acts of terror in general. This confusion is furthered by the fact Obama referenced that anti-Islam video in this same speech and placed its reference toward the beginning, further adding to its significance as the primary cause of the attack. Possibly this small but significant part of the debate is going to get a lot of focus in the hours and days ahead. It will be interesting to see if Romney plays this up as the actual quote is spread far and wide. Fraser Nelson is already helping that along http://specc.ie/QpwjkK. Peter Hitchens, what about raw bias? It is somewhat ironic that Peter Hitchens, so often a man who reminds us he can see what is going on where others are unaware, used his blog yesterday in the Daily Mail to say he has now discovered he is almost the only journalist who didn’t know that Jimmy Savile was a child molester. He must be feeling quite left out among the media pack. Hitchens suggests that the omerta owes much to our punitive libel laws, and there is some truth in that. But there is a great deal more to it than that, not least the sheep-like behaviour of the media pack, and the power of the narrative. Too often, journalists (and their editors) want to stay in the comfort zone delineated by the herd. Once a “line” has been established (the narrative), they will not depart significantly from it. There is no need for censorship or libel laws here. This is what the media does to itself. North is bang on the money and there is plenty of evidence to support it – including, amusingly, the behaviour of Hitchens’ paymaster itself, the Daily Mail. For example, perhaps Hitchens would care to investigate why the Daily Mail, without any explanation, deleted a story it published about David Leigh of the Guardian in relation to his own phone hacking exploits? The story was accurate, but nonetheless the Mail pulled it soon after publishing and deleted all reference to it. That’s an instance of people not being told something the media decides to keep out of the public eye. Leigh, unsurprisingly in the incestuous world of the print media, has friends at the Mail. Go figure. Then there is the example of the Met Office being caught out lying about no longer doing seasonal weather forecasts, as uncovered by this blog. We dug up documentary evidence in the form of Minutes from the Met Office board meeting where the decision was taken, at the suggestion of Chief Executive John Hirst, to ‘rename’ and ‘manage the presentation of these longer range forecasts’. AM gave this completely free and without condition to a reporter at the Daily Mail and an editor at the Daily Express. Neither paper chose to tell the story to their readers. Neither of these stories were libellous. There was nothing for the papers to be scared of. Unless the Guardian is now a powerful commercial interest. They just decided it wasn’t something the public should know about. They self censored for their own purposes because of narratives they prefer to follow. So if Peter Hitchens wants to play the ‘honest broker’ card, perhaps he should tell the whole truth about the reality of why there are things the media don’t tell us. It’s not all because of fear of a consequence. For a construct that has stolen power from 27 countries, a mere matter of stealing a Nobel Peace Prize is a very minor affair. So writes friend of this blog, Richard North on EU Referendum. For in looking closer at the events surrounding the award of the Nobel Peace Prize to the EU, it is now coming to light that underhand methods were used by the prize committee chairman, Thorbjørn Jagland, to force through the EU as the recipient of the award. Jagland, as we explained previously, the Secretary General of the Council of Europe – and a fully committed and paid member of the cabal whose aim is to ensure EU governance over Europe. Jagland, it transpires, called the committee to vote on the award only when one of its members who was firmly against such an idea – Ågot Valle, former deputy leader of the “No to EU” campaign – was on sick leave. The rationale being the committee is supposed to make every effort to achieve unanimity so as to avoid controversy. Thus in a country where 80 percent of ordinary people are against the EU, we find a committee where everybody is in favour of the EU. If ever there was anything that typified the chasm of a disconnect between the establishment and the people, and the depth of the contempt shown for the people, this is it. Unsurprising therefore that the overwhelming reaction to this self-given award has been scorn, mockery and anger. This has resulted in a ‘shitstorm’ that has EU cheerleaders desperately lashing out and in pathetic pre-pubescent rage describing the EU as ‘Europe’ to suggest opposition to the stateless supreme government is opposition to a whole continent. Following the ludicrous decisions in 2007 to award the Nobel Peace Prize to the Intergovernmental Panel on Climate Change and in 2009 to Barack Obama only two weeks after taking office and while he conducted a war, many people may have started to feel the awards had been undermined by overt politicisation. If anyone still harboured any doubts about the Nobel Prize having been made worthless by those awards, then the news today that the European Union has won the 2012 Nobel Peace Prize for having “contributed to the advancement of peace and reconciliation, democracy and human rights in Europe” should leave them in no doubt. Like the Eurovision Song Contest, the Nobel Peace Prize has descended into farce. Something serious and meaningful has been corrupted by a desire to force political agendas into the faces of the population. No doubt the BBC will report this in glowing terms, as one would expect from an organisation that enjoys large amounts of our money channelled to it from the EU. The Nobel Prize is of the elite’s most highly favoured, for the elite’s most highy favoured… pals in the establishment network conferring awards and plaudits on each other. 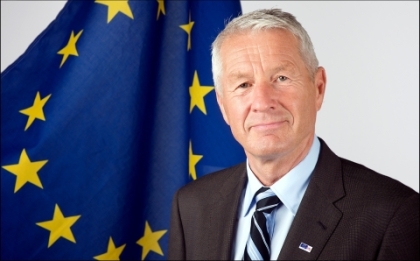 If you doubt that, perhaps it is worth noting Thorbjørn Jagland, head of the Nobel Peace Prize committee, is also Secretary General of the Council of Europe, with its stated aims ‘To achieve greater unity between its members for the purpose of safeguarding and realising the ideals and principles which are their common heritage and facilitating their economic and social progress.’ Clearly no conflict of interest there. It is time people started treating the award with the same contempt its committee shows for reality. Richard North at EU Referendum is already doing that, being similarly dismissive of the news. The BBC Trust publishing the terms of reference and planned approach for its impartiality review of the BBC’s breadth of opinion. It went on to explain that breadth of opinion means reflecting a range of voices and viewpoints in BBC output and the BBC has a unique commitment to it included in its Editorial Guidelines. The review, which will be led by former broadcasting executive Stuart Prebble, will focus on the BBC’s news, current affairs and factual output. Whether the BBC has ensured that those who hold minority views are aware they can take part in a debate such as a phone-in. The content analysis will include an analysis of the BBC’s coverage of immigration, religion and the EU, by comparing some coverage from 2007 with coverage from 2012/13. Not for nothing am I reminded of the episode of Yes Prime Minister, where Jim Hacker learns the wrong ‘Ron Jones’ has been awarded a peerage. When asked by Sir Humphrey if Jones owns a TV, Hacker replies no, to which Sir Humphrey suggests ‘make him a governor of the BBC’. It seems the level of ignorance – or is it wilful self deception – that Sir Humphrey saw as a qualification, is shared among today’s BBC Trustees. Perhaps the BBC Trust might do well to consider the perspective it holds about having impartiality in its DNA could be a minority view and therefore not deserving of equal weight when taken in the round with the prevailing consensus that the BBC is a biased bastion for socialist and authoritarian propaganda that treats its audience with contempt and opponents with undisguised hostility. Then it could save licence fee payers a whole lot of money on such a waste of time review such as this. It would be easy to take that sentiment and apply it as an observation of the Euro and the EU in general. But that isn’t what is meant. The reference concerns the news that for the first time ever there are more than 25 million people across the 27 member states who are unemployed. As government has grown, both at EU and national level, and hyperactively sought to increasingly regulate and legislate in ever more spheres of business life it should come as no surprise that the jobless total has risen. The notion that government has the duty to direct everything for the ‘good of society’ comes at a price and part of the cost is the shocking unemployment and lack of competitiveness. Rising taxation and ever growing government budgetary needs should be a warning claxon, not as some would have it, a cause for relief that something is being done. We need smaller government that takes less from us and borrows less and focuses on essential public services. No doubt some tribal Tories would see that assertion and rush to claim David Cameron is championing that very approach with his theatric threat to veto the EU budget. Deeds, not words, matter and when it comes to reality the fact is the UK with its claims of deficit busting austerity is actually taxing, borrowing and spending more than Labour did. All the political elites talk about ‘sustainability’. But just what is sustainable about the current disturbing approach to managing the economy? 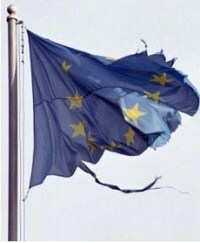 The European approach to governance has failed. The absence of real democracy, where the people would decide if their servants can spend and borrow money for their pet projects, is the root cause of this collapse. Until people take back the power grabbed by the political elite and their corporate sponsors this state of affairs will continue. Over on Watts Up With That? is an interesting post about yet another attempt by a ‘psychoanalyst’ to portray man-made climate change sceptics (aka ‘deniers’ as the alarmists like to describe them) as in some way psychologically impaired. On October 5, 2012, on the front page of the Huffington Post, appeared a terrifying image of melting arctic ice, accompanied by the chilling headline, “Arctic Ice Melt and Sea Level Rise May Be ‘Decades Ahead Of Schedule’”. Why have the majority of Americans and American politicians been largely oblivious to this extreme threat? Perhaps it has something to do with many people preferring to see hard evidence of what is claimed, or having the awareness to grasp that dire warnings years ago of what would have happened by now have simply failed to materialise. Perhaps they are unconvinced by scientists who fight tooth and nail to conceal discussions and information about their research from a public forced to fund them. Or perhaps they smell a rat when they see those same scientists challenged on the science and responding with personal slights and a refusal to address the questions raised. In the Soviet Union, systematic political abuse of psychiatry took place. Soviet psychiatric hospitals known as “psikhushkas” were used by the authorities as prisons in order to isolate hundreds or thousands of political prisoners from the rest of society, discredit their ideas, and break them physically and mentally. This method was also employed against religious prisoners and most especially against well-educated former atheists who adopted a religion. In such cases their religious faith was determined to be a form of mental illness that needed to be cured. Formerly highly classified extant documents from “Special file” of the Central Committee of the Communist Party of the Soviet Union published after the dissolution of the Soviet Union demonstrate that the authorities of the country quite consciously used psychiatry as a tool to suppress dissent. As Anthony Watts asks: Sound familiar when looking at what is being written about climate skeptics today? Too right. But sceptics should take heart from this. It demonstrates the true believers are rattled. They are struggling, worried that their claims are being so easily challenged and increasingly dismissed. Not having a solid scientific argument to deploy they are resorting to playing the man instead of the ball. If namecalling and attempts to make people feel like an odd-one-out is all they have as a strategy to make people accept their supposedly scientific claims then they are losing the battle. You see this all the time in politics – and that underlines that at the heart of all this climate change hysteria is a political objective. The problem with having taken a leave of absence from the blog is catching up on stories that are days old and presenting them as timely. No matter, this little weather related story that emerged last week is worth covering nearly a week on. It comes in a blog post by our good friends down at the Met Office, reporting average temperatures across the UK in September were 0.7C below the 30-year average. Of course, it’s weather not climate. However it goes without saying that if this was an increase of 0.7C it would have been a lead item on BBC News and in the Guardian, and cited worldwide as another indicator of the forthcoming thermogeddon. If I blinked and missed it then I take it back. But, being a fall in temperature, it seems to have been relegated to being a one sentence footnote swept smoothly to the margins as the focus is put firmly on there having been more rain and more sunshine. The message is clear, nothing to see here… move along. The provisional figures for the whole of September are in and, overall, the UK received 112.4mm of rain which is 117% of the long-term average. The wettest period of the month fell between the 23rd and 26th but with a very dry start to the month, the UK ended up 29th wettest in the national record that goes back to 1910. 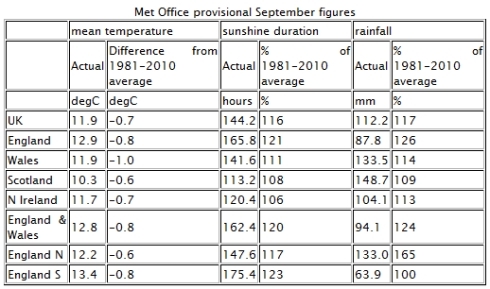 The UK was also a little sunnier than usual, with 144.2 hours of sunshine, making it the 10th sunniest September on record. Meanwhile, the average temperature was 11.9°C which is 0.7°C below the 30-year average. If one wants yet another small but significant piece of evidence demonstrating that we don’t live in a democracy and the political process is an utter failure, look no further than a story from early last week from Stoke-on-Trent. For it is there, as The Sentinel reports, that council officers are running out of control and operating in defiance of the law. More than £118,000 has been spent on a survey to review how much repair work is needed on the city’s council houses – but tenants and councillors are not allowed to see the results. 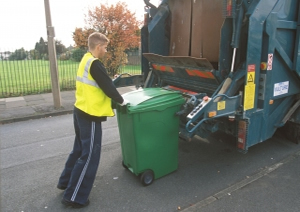 … an increase in customer enquiries relating to when improvements will be carried out. Prior to publishing the stock condition survey it will be necessary to properly brief frontline staff, elected members and other stakeholders. Information control? How apt a description. Heaven forbid that the public, the majority of whom pay their taxes to fund essentials such as housing repairs to council stock, should deign to ask about the findings or draw upon the very services that they are entitled to receive. There can be no more clear example of the inversion of the positions of servant and master. Since then, to compound the sense of incompetence that seems to permeate the city’s halls of ‘power’, Stoke-on-Trent City Council has gone on to write off £7.5m of unpaid council tax in addition to £8.1m already wiped off the books. Out of control and above the law, councils are gouging the wallets and purses of taxpayers with the usual raft of charges and fees in addition to the annual charge – to fund non essential boondoggles rather than essential services only – which is undoubtedly fuelling resentment at the ever rising level of council tax and avoidance of its payment. There is a perfect storm brewing caused by the failure of politics and absence of democracy. An alternative, positive vision is required and thankfully a group of people are developing one known as the Harrogate Agenda, but some residents are failing to grasp this and rather than demanding the council limit its scope and activities to essential services, instead are calling for it do more to chase down non-payers, and even call in bailiffs with their often illegal and intimidating tactics, to recover unpaid council tax. 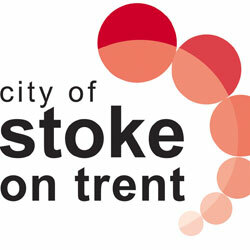 Perhaps those who thought Stoke-on-Trent City Council’s ‘corporate logo’ was meaningless were being somewhat unfair. The image, with its ever decreasing circles sinking lower and lower while fading away, seems somehow rather prescient. Perhaps it was designed that way intentionally as a metaphor for the continuing erosion of illusory people power and democratic control.